The stars were out and shining at the TIME 100 gala in New York this week, but it’s an otherwise-unassuming necklace that has Twitter chirping. RuPaul Charles was one of the honorees of the evening, as well he should be, and he showed up looking dapper as ever with his handsome husband, Georges LeBar. But when eagle-eyed fans gave Ru’s look a close analysis, one detail definitely stood out. “Omg @RuPaul wearing a Vanjie necklace is everything,” wrote one observer. On and off of RuPaul’s Drag Race, “Miss Vanjie” has become something of a phenomenon. This latest entry to the gay lexicon, of course, refers to Vanessa Vanjie Mateo, the queen with the enormous personality who was sent packing on the first episode of season 10. 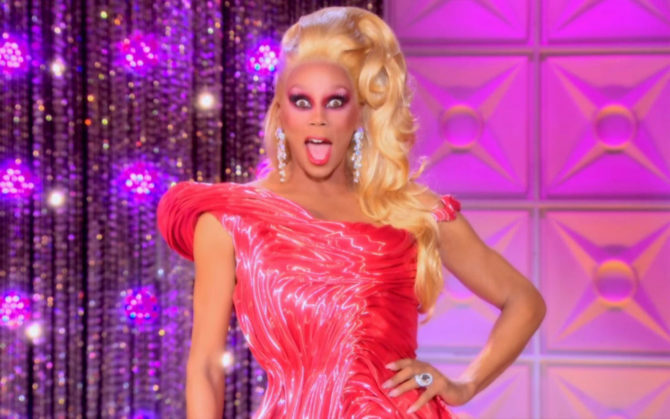 Her exit from the runway has been memed more times than we can count, and whenever it’s been brought up in subsequent episodes, Ru is uncharacteristically unable to contain his laughter. It seems all but certain Vanessa has a spot waiting for her on All Stars season 4. I know @michellevisage was the one to give @RuPaul that gold #Vangie necklace. Why? Because I listen to EVERY MOTHER TUCKING WORD of #WhatsTheTee podcast. ??? Oh god please, let this not be a thing. Don’t worry; like kilts worn with combat boots and $95 A&F t-shirts, Miss Vanjie shall soon disappear just like all the other fads within the gay community. She has more twitter followers than queens who lasted way longer than her on other seasons. LOL! Love it. LOL!! !